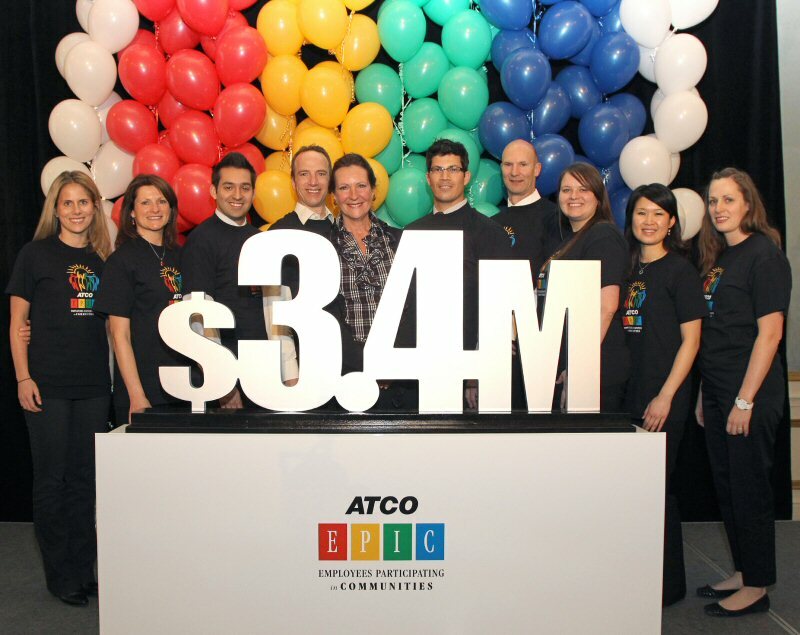 ATCO and its employees have raised $3.4 Million through an employee-led fundraising program called ATCO EPIC - Employees Participating in Communities. The program allows employees to donate to the charities of their choice. Their donations are then matched by ATCO. "I am inspired by the continued dedication of our employees to the ATCO EPIC program and by the spirit that goes into making the campaigns a success," said Nancy Southern, President & Chief Executive Officer, ATCO Group. "Through their generosity, our employees have shown they are committed to building better communities." To celebrate the millions raised, special events were held today in Calgary and Edmonton. The celebration events were attended by EPIC committee leaders from all nine of ATCO's principal operating companies as well as representatives from benefiting charity organizations. ATCO EPIC is an annual campaign. It began in 2006. Under the program, ATCO absorbs all of the administration costs, ensuring that 100 per cent of employee donations go toward the employees' charities of choice. This year's campaign included a series of fundraising events, auctions, friendly team competitions and employee pledges. ATCO also recognizes the contributions of employees who volunteer their time and talents to organizations that make our communities a better place to work and live. Through ATCO EPIC Time to Give, employees volunteering 50 hours or more are eligible to apply for a $150 donation from ATCO to a registered charity of their choice. 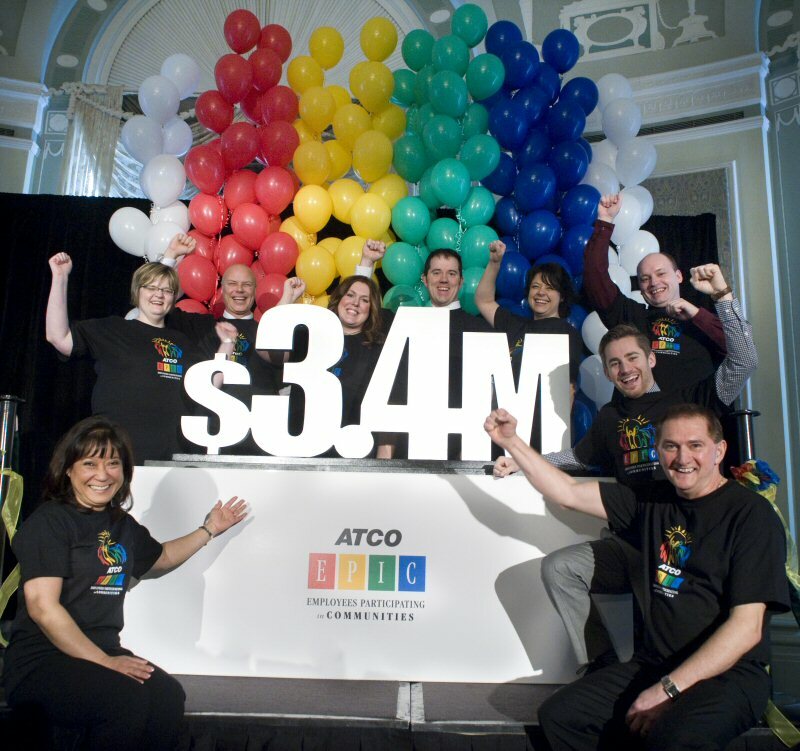 In 2011, ATCO employees volunteered more than 37,900 hours. Alberta-based ATCO Ltd., with more than 8,000 employees and assets of approximately $12 billion, delivers service excellence and innovative business solutions worldwide with leading companies engaged in Utilities (pipelines, natural gas and electricity transmission and distribution), Energy (power generation, natural gas gathering, processing, storage and liquids extraction), Structures & Logistics (manufacturing, logistics and noise abatement) and Technologies (business systems solutions). More information can be found at www.atco.com. Certain statements contained in this news release may constitute forward-looking statements. Forward-looking statements are often, but not always, identified by the use of words such as "anticipate", "plan", "expect", "may", "will", "intend", "should", and similar expressions. These statements involve known and unknown risks, uncertainties and other factors that may cause actual results or events to differ materially from those anticipated in such forward-looking statements. The Corporation believes that the expectations reflected in the forward-looking statements are reasonable, but no assurance can be given that these expectations will prove to be correct and such forward-looking statements should not be unduly relied upon. The Corporation's actual results could differ materially from those anticipated in these forward-looking statements as a result of regulatory decisions, competitive factors in the industries in which the Corporation operates, prevailing economic conditions, and other factors, many of which are beyond the control of the Corporation. The forward-looking statements contained in this news release represent the Corporation's expectations as of the date hereof, and are subject to change after such date. The Corporation disclaims any intention or obligation to update or revise any forward-looking statements whether as a result of new information, future events or otherwise, except as required under applicable securities regulations. ATCO Group President & CEO, Nancy Southern (centre), celebrates with employees, Wednesday, February 8, 2012, in Calgary, after raising more than $3.4 million for charity. MARKETWIRE PHOTO/ATCO Ltd.
ATCO employees celebrate, Wednesday, February 8, 2012, in Edmonton, after raising more than $3.4 million for charity. MARKETWIRE PHOTO/ATCO Ltd.